Bogue Sound Custom Yachts was a new builder of cold-molded "Carolina Style" sportfisherman located in Swansboro, NC. I was contracted to design the hull, structure and fuel tank for the first of their boats, a 23 foot center console. As the builder was used to working with relatively little in the way of drawings, he was going to figure out the deck and console himself. The design is best described as "Carolina Style", with her broken sheer and lots of flare forward turning into tumblehome at the transom. The midsections have an "S" shape that is characteristic of the traditional Carolina style sportfisherman. The deadrise was kept fairly moderate in order to maintain a shallow draft suitable for the shallow sounds of Eastern North Carolina. Her freeboard forward should allow her to venture offshore in settled weather. I think her shape is very pretty. 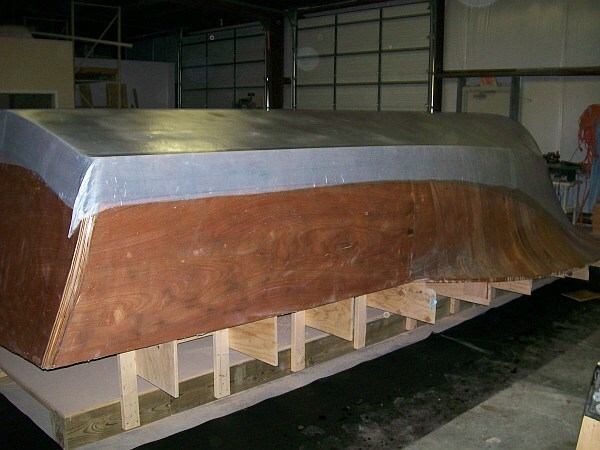 Her hull was cold molded using multiple layers of marine grade plywood, epoxied together. She was then glassed over and faired. Once faired, she could be painted using any number of marine grade paints. Bottom stringers and frames were made from marine grade plywood, while side stringers were Douglas Fir. Her fuel tank was to be aluminum and bolted into the hull between the stringers. This construction method yields a solid boat that should give many years of service with minimal upkeep. The original plan was to build four of these boats before moving on to a larger model. The first two hulls were being built side by side, the next two would follow later depending on market conditions. Unfortunately, due to the slow economy and a lack of capital, Bogue Sound Custom Yachts failed before it was able to finish construction of the boats. Neither of the hulls were completed and I don't know if they have been finished by others since the builder went under. The image below is a link to a photo album of the boats with a large number of pictures showing them throughout the construction process. While the failure of this project was disappointing, in the long run it has led to a number of other projects. 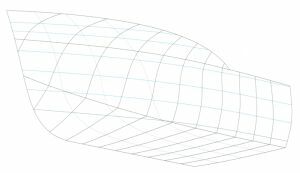 Once this boat was added to my site, I got contracts to design what later became the Kitty Hawk 18 and the Kitty Hawk 26. The Kitty Hawk 23 is underway as I write this, based very closely on the Bogue Sound 23. 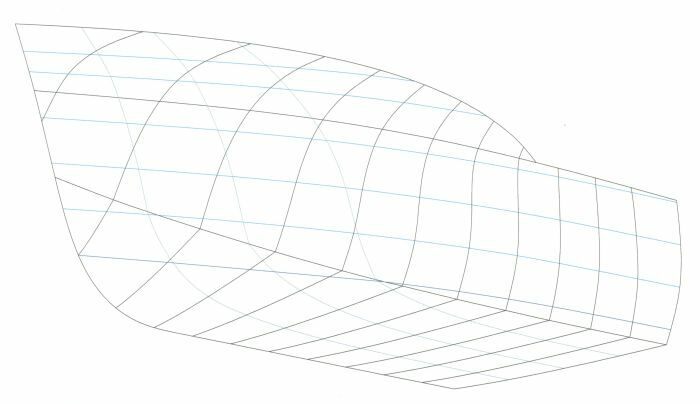 I still get contacted on a regular basis regarding designing Carolina style boats, all of it because of the impact of this design.